The Natural Dog is located in Newburyport, MA. Our store promotes and represents holistic health and wellness for dogs and cats. We strive to provide dogs and cats with a wide selection of natural foods, whole food supplements and environmentally friendly products. We research and choose our products based on quality rather than popularity. Our goal is to educate customers on species appropriate feeding for dogs and cats, and assist with healthy diet choices versus commercially popular ones. At The Natural Dog, we pride ourselves on product selection and customer education. We offer a wide variety of natural and holistic products for optimal pet care. We extensively research every product, so that our customers can shop with confidence. When possible, we buy local products and support small businesses. We overlook the marketing hype and choose products based on superior nutrition, quality ingredients and company ethics. At The Natural Dog it is our goal to provide our customers with healthy and safe product choices for their dogs and cats. We provide a wide variety of diets to choose from. We offer the largest selection of frozen raw diets, freeze dried meals, dehydrated meat diets, natural kibble and canned foods on the Seacoast! The pet food industry is a multi-billion dollar industry and there are numerous myths and misconceptions about what to feed. This is often confusing and overwhelming to new dog and cat owners. We can help guide you through this difficult task of choosing the right food and supplements for your pet. Our knowledgeable staff is always available to assist our customers with diet selections. Our focus is on U.S. made, environmentally friendly, and recycled products. We carry beds, bowls, toys, collars, leashes and other supplies which meet these criteria. We stock lead free bowls, hemp and bamboo collars, organic toys and recycled beds. Our products are selected based on safety and sustainability. Dogs and cats with allergies and sensitivities greatly benefit from our eco-friendly, hypoallergenic, and non-toxic products. Every product in our store is chosen based on quality, environmental impact, safety, and company integrity. We represent species appropriate food, alternative care supplements and remedies, eco-friendly products, local and US made products. The Natural Dog offers a large selection of premium, natural and organic diets. We choose our diets based on several criteria including ingredient quality and sourcing, diet digestibility, and company ethics. We choose foods with high quality meat protein and we avoid ingredients such as plant protein, excessive grain fractions, sugar, artificial additives, and chemical preservatives. We continuously re-evaluate our products for palatability and performance. We also support manufacturers that share our high standard of ingredient and product quality. Our staff can assist you in selecting the most appropriate diet for your dog and cat. We have the largest selection of frozen raw, freeze dried, and dehydrated diets in the Seacoast area! Our staff is available to help customers choose the most appropriate diet for their dog or cat. Whether you are just starting, looking for a change, or interested in supplementing with fresh foods, we can help make this transition an easy one. Dogs and cats are designed to eat raw food. A raw diet is considered the species appropriate diet for both dogs and cats. These diets are beneficial for dogs and cats with chronic health issues such as obesity, allergies, urinary tract infections, poor coat quality, digestive issues, and more. Raw food is not subjected to the high heat processing that kibble and canned diets undergo. Important nutrients are lost during this process which makes their nutritional quality less than that of a raw diet. Dogs and cats that have switched to a raw diet and even supplemented with raw foods tend to improve in appearance and overall health. We offer 8 freezers full of raw food selections. We also carry dehydrated diets which are great for travel and for picky dogs and cats. Our premix foods allow the freedom of adding your own meat and are useful for elimination diets. We have something that meets every dog and cat’s size, preference, and diet requirements. Our raw diets are from companies which use hormone free, antibiotic free and grass fed sources. Organic selections are also available. Ask one of our staff members if a raw diet is appropriate for your dog or cat. Our treats also meet our high standard of quality. We carry many different types of treats for dogs and cats including tasty biscuits, meaty treats, freeze dried bites, and long lasting chews. We also offer a large selection of grain free, organic and locally made biscuits. Our accessories include products such as organic and recycled beds and toys, hemp collars and leashes, US made bowls, biodegradable waste bags, and natural shampoos. We are always shopping for safe, natural, and recycled goods for your furry friends. 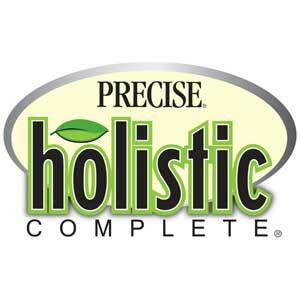 Our supplements include whole food nutraceuticals, herbs, homeopathic remedies and flower essences. Supplements are valuable in nutritionally enhancing a diet, targeting specific conditions such as arthritis or dry coat, assisting in preventing diseases such as cancer or in an acute situation such as GI upset or stress. Our knowledgeable staff can assist you in choosing the right supplement for your dog or cat.